One great feature we lost in the transition from iTunes to all-you-can-eat streaming services is the smart playlist. When you have 30 million tracks to choose from, queueing up everything you've not heard for six months makes less sense. Thankfully, you can bring the feature to Google Play Music with a simple Chrome extension. With the playlist generator installed, click its icon and get to work. 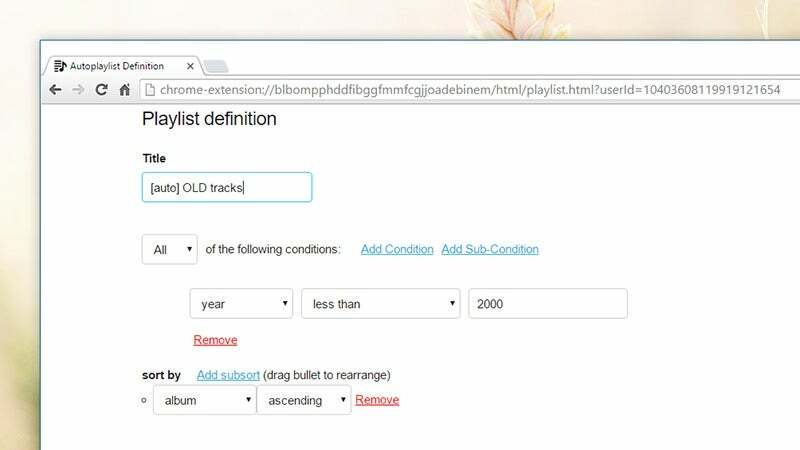 Everything is self-explanatory (the instructions below the playlist fields and the FAQ can help), and with a quick refresh of the browser your playlist appears. Keep the browser tab open for best results. The playlists auto-update and sync across browsers.